We recently completed research into small-cap performance patterns that revealed a connection that we believe is significant. There seems to be a notable historical trend of active small-cap managers outperforming the Russell 2000 Index in periods when value stocks lead, while trailing the small-cap index when growth stocks lead. What's Happening to Active Small-Cap Management? 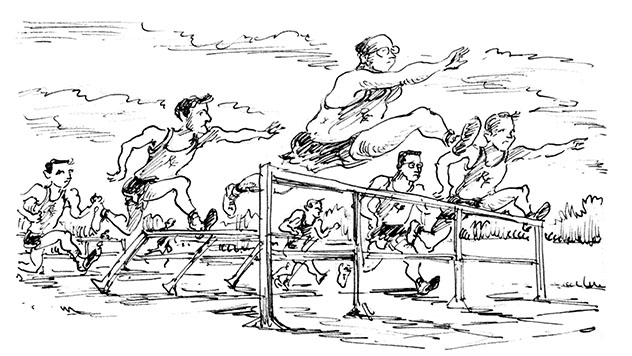 Contrary to some investors’ perception, active small-cap managers actually have a strong relative performance record. Comparing Morningstar's Small Blend category average (our proxy for active small-cap management) to the Russell 2000 Index over monthly rolling five-year periods reveals that the Small Blend average beat the index 65% of the time. What accounts, then, for the recent poor results of the active small cap managers? We recently completed research into small-cap performance patterns that revealed a connection that we believe is significant. There seems to be a notable historical trend of active small-cap managers outperforming the Russell 2000 Index in periods when value stocks lead, while trailing the small-cap index when growth stocks lead. If this pattern holds, it carries a number of important implications for the current market, particularly if we are beginning an extended period of outperformance for value. Our research first compared monthly rolling five-year returns for the "as published" Morningstar Small Blend category average to the Russell 2000, dating back to the index's inception in 1979. We then separated each rolling five-year period into those in which the Russell 2000 Value Index led the small-cap market, and those in which the Russell 2000 Growth Index led. The results were striking. Though the Morningstar Small Blend category average beat the Russell 2000 in 65% of all monthly rolling five-year periods, it actually outperformed in 83% of value-led periods, but in only 21% of growth-led periods. And most periods—72%—were value-led, which contributed to greater relative success for active management. 1. Is the Small Blend category an appropriate proxy for active small-cap management? There are a number of limitations to using the Small Blend average. First, until recently1 it only covered mutual funds, a subset of all active managers; second, Small Value and Small Growth managers are also active managers; and third, while Small Blend funds may be intentional about their style positioning, it may also be a residual of where their managers see current opportunities. We chose to use Small Blend as an active management proxy primarily because it is relatively style neutral and therefore a more appropriate comparison to the Russell 2000. Moreover, we feel confident that most observers would expect Small Value managers to do better versus the Russell 2000 in value-led periods. This beneficial relationship for Small Blend managers, however, was more unexpected. 2. How could this data show such strong results when so few active small-cap funds are currently outperforming the index? The idea that very few funds are outperforming the index is somewhat exaggerated since 45% of Small Blend (main class only) funds (70 out of 156 funds) beat the index on a trailing 10-year basis ended 12/31/16. 3. Has this advantage been due to survivorship bias or funds moving from 'Value' to 'Blend'? No. According to Morningstar, the Small Blend category average is in effect a frozen snapshot. We calculated trailing five-year returns from historical monthly category average return data which reflects all funds in existence that were classified as Small Blend in that month. 4. Has this relative performance connection been consistent over time? The active spread of Small Blend versus the Russell 2000 for the trailing five years seems to have roughly tracked periods of value and growth leadership through history. This chart shows the active spread in green tracked along the spread between the Russell 2000 Value and the Russell 2000 in gray. Periods of leadership for growth are shaded—they were relatively rare until the most recent eight-year period (2008-2016). 1As of month-end November 2016, Morningstar combined ETF's with open-end mutual funds in the Smal Blend Category. We wanted to know why value-led periods are far more conducive to active outperformance than growth-led periods. Our view is that two distinct factors affect this outcome: equal-weighted portfolios vs. cap-weighted indexes and active managers' training. Growth-led markets tend to demonstrate narrow leadership more often than value-led markets, which typically feature broader participation. First, most actively managed portfolios weight their holdings closer to equal weighted than based on capitalization. This means that active managers are likely to be challenged when trying to keep pace with their respective indexes in periods with narrow leadership—those dominated by a comparatively smaller number of stocks at the upper range of the index constituents. Growth-led markets tend to demonstrate narrow leadership more often than value-led markets, which typically feature broader participation. 2015’s results offer an instructive example of this performance profile of a growth-led market with narrow leadership. The market-weighted Russell 2000 declined 4.4% in 2015, but fell 10.1% on an equal-weighted basis. During the same year, the Morningstar Small Blend category trailed the Russell 2000, falling 5.3%. Extending back in time, the relationships among value and growth, equal-weighted and market cap-weighted, and active and passive become even clearer. For the five years ended 12/31/15, small-cap growth led value (+10.7% vs. +7.7%), the Russell 2000 led the equal-weighted index (+9.2% vs. +6.5%), and the unmanaged (that is, passive) small-cap index led active managers (+9.2% vs.+ 8.3%). Unsurprisingly, over this same period only 45% of Small Blend (main class only) funds (85 out of 189) beat the Russell 2000. From these observations, we would venture that value-led markets are characterized by a larger number of stocks advancing—and that this positive breadth helps create an advantage for active management. Seen this way, most active Small Blend managers could be described, to some extent, as value managers. The classic training for portfolio managers and analysts contains a heavy dose of valuation work. Successful active management can be distilled to identifying situations where the intrinsic value of a company is appreciably higher than its current stock price, and this may be a second factor in Small Blend’s advantage in value-led markets. The ability to effectively use various valuation metrics is integral to this practice. As a result, active Small Blend managers will lean towards stocks with valuations selling for less than their intrinsic value and quite often less than their relevant benchmark. Seen this way, most active Small Blend managers could be described, to some extent, as value managers. Their respective investment disciplines will make them hesitant to own, and certainly reluctant to hold at the top end of their portfolios, stocks whose valuations are meaningfully higher than their index. Yet these are precisely the companies that lead in growth-led markets. These high-valuation stocks are heavily weighted in the indexes, but either not held, or underweighted, by the majority of active managers. Since the closest month end to that peak (6/30/15) through year end, the Russell 2000 Value beat the Russell 2000 Growth, 21.0% versus 1.0%. Over that period, small blend managers have also done better, with 50% (118 out of 235) outperforming the Russell 2000. This compares with only 31% (73 out of 233) outperforming during the preceding one-year period ended 6/30/15, which was a growth-led period. It seems reasonable to expect that active managers may be in the early stage of a performance rebound so long as value maintains leadership over growth. Time will tell, of course, but it may be that the apex of growth leadership in the summer of 2015 was also this cycle's peak of passive leadership in small-cap stocks. We think it is likely that we are heading toward a period of outperformance for both value-led strategies and active management. What are the implications for Royce Funds investors? This dichotomy of relative performance vis-à-vis the Russell 2000 during value-led periods and growth-led periods has had meaningful impacts on most of our portfolios’ performance. To illustrate using our five largest Funds—Royce Opportunity, Pennsylvania Mutual, Premier, Special Equity, and Total Return—we have historically seen a notable difference in outperformance frequency in value-led periods versus growth-led periods. 1The data for Pennsylvania Mutual is from the inception of the Russell 2000 on 12/31/1978. ROF led in 82/92, PMF in 209/287, RPR in 114/136, RSE in 55/74, and RTR in 101/112 of value-led periods. ROF led in 57/90, PMF in 50/110, RPR in 53/105, RSE in 51/90, and RTR in 50/105 of growth-led periods. In all periods, ROF led in 139/182, PMF in 259/397, RPR in 167/241, RSE in 106/164, and RTR in 151/217. We believe that the same factors affecting other active managers have affected our Funds as well. So far this year, we are also witnessing the same rebound for active small-cap management for our portfolios versus the Russell 2000 as one might expect in a value-led market, based on the historical data. Our view is that small value stocks will lead small growth stocks over the next several years based on how far recent relative performance and relative valuation has been from historical precedent. We believe that regression to the mean has historically been one of the more powerful and reliable forces with investing. Simply put, when the current behavior of an asset class is an outlier compared with its longer term history, we think that the odds favor a reversal. The seminal academic research on small value outperformance, Fama-French’s 1992 Journal of Finance paper, noted that small value stocks had outperformed small growth stocks over the 27-year period 1962-1989. Index relative performance supports this finding. Comparing the Russell 2000 Value and Growth Index shows that, on a monthly rolling 10-year basis since the indexes' inception in 1978, Value beat growth by an average of 4.15%, and a frequency of 82%. Therefore, it is striking that the most recent experience has been so much of an outlier. As of December 31, 2016, small value had lagged small growth by 1.50%. Moreover, December was the 56th month in a row where small value trailed small growth on a trailing 10-year basis. As the chart below shows, the magnitude and duration of small value's underperformance is a two standard deviation event that was matched only once before in the past 25+ years—during the late 1990's tech bubble. 1. The 10-year average annual total return through 12/31/16 was 6.26% for the Russell 2000 Value and 7.76% for the Russell 2000 Growth. -1.50% represents the difference. Standard deviation is a statistical measure within which a fund’s total returns have varied over time. The greater the standard deviation, the greater a fund's volatility. 1Last twelve months enterprise value/earnings before Interest and taxes. As one might expect, this relative underperformance of small value stocks has contributed to a valuation gap emerging as well. 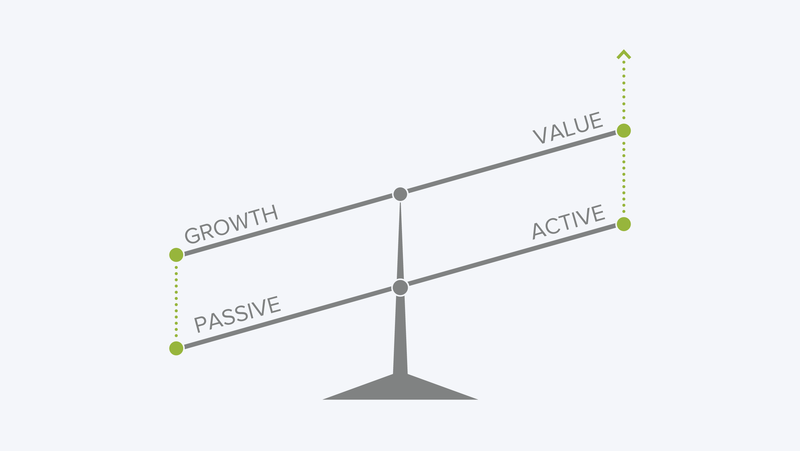 When analyzing valuation, we prefer to use a ratio of EV (enterprise value) to EBIT (earnings before interest and taxes) as we view this as a better valuation metric than price-to-earnings ratios for understanding a company’s true worth. Based on this EV/ EBIT measure, the common stocks that make up the small value index currently sell at a 12% discount to those that make up the small growth index, compared with a 15-year average of a 7% discount. While there have been periods of greater valuation discrepancy, notably the years around the tech market peak in 2000, by this measure small value stocks sell at attractive relative valuation in our view. We hasten to add that as active managers we find some areas of small cap value more attractive than others. Broadly, we see many cyclically-sensitive stocks as undervalued and are concerned about the valuations of many interest-rate sensitive stocks, such as REIT’s and utilities. That said, the history of relative performance and relative valuation both signal to us the potential for a multi-year period of small value outperformance. ﻿1﻿For Royce Pennsylvania Mutual Fund, the average annual total return shown is for the 40-year period ended as of the date shown above rather than since the Fund's inception. All performance information in this piece reflects past performance, is presented on a total return basis, reflects the reinvestment of distributions, and does not reflect the deduction of taxes that a shareholder would pay on fund distributions or the redemption of fund shares. Past performance is no guarantee of future results. Investment return and principal value of an investment will fluctuate, so that shares may be worth more or less than their original cost when redeemed. Investment and Service Class shares redeemed within 30 days of purchase may be subject to a 1% redemption fee payable to the Fund. Redemption fees are not reflected in the performance shown above; if such fees were reflected, performance would be lower. Current month-end performance may be higher or lower than performance quoted and may be obtained at www.roycefunds.com. All performance and expense information reflect results of the Fund’s Investment Class shares. Operating expenses reflect total annual operating expenses as of the Fund’s most current prospectus and include management fees, other expenses, and acquired fund fees and expenses for Royce Pennsylvania Mutual and Total Return Funds; and include management fees and other expenses for Royce Opportunity, Premier, and Special Equity Funds. Acquired fund fees and expenses reflect the estimated amount of the fees and expenses incurred indirectly by any applicable Fund through its investments in mutual funds, hedge funds, private equity funds, and other investment companies. Mr. Lipper's thoughts and opinions concerning the stock market are solely his own and, of course, there can be no assurance with regard to future market movements. No assurance can be given that past performance trends as outlined in this article will continue in the future. For the Morningstar Small Blend Category: © 2016 Morningstar. All Rights Reserved. The information regarding the category in this piece is: (1) is proprietary to Morningstar and/or its content providers; (2) may not be copied or distributed; and (3) is not warranted to be accurate, complete or timely. Neither Morningstar nor its content providers are responsible for any damages or losses arising from any use of this information. This material is not authorized for distribution unless preceded or accompanied by a current prospectus. Please read the prospectus carefully before investing or sending money. The performance data and trends outlined in this presentation are presented for illustrative purposed only. Historical market trends are not necessarily indicative of future market movements. The Royce Funds invest primarily in securities of micro-cap, small-cap, and/or mid-cap companies, which may involve considerably more risk than investments in securities of larger-cap companies (see “Primary Risks for Fund Investors” in the respective prospectus). The Funds may also invest to varying degrees in foreign securities which may involve political, economic, currency, and other risks not encountered in U.S. investments. Russell Investment Group is the source and owner of the trademarks, service marks, and copyrights related to the Russell Indexes. Russell® is a trademark of Russell Investment Group. The Russell 2000 Index is an unmanaged, capitalization-weighted index of domestic small-cap stocks that measures the performance of the 2,000 smallest publicly traded U.S. companies in the Russell 3000 Index. The Russell 2000 Value and Growth indexes consist of the respective value and growth stocks within the Russell 2000 as determined by Russell Investments. The performance of an index does not represent exactly any particular investment, as you cannot invest directly in an index. Distributor: Royce Fund Services, Inc.